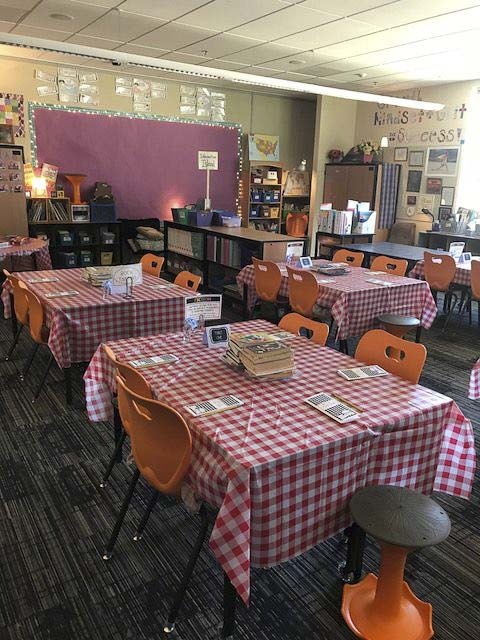 RIDGEFIELD —Twice a year, Kari Hall’s third grade classroom at Union Ridge Elementary School in Ridgefield transforms into a café. There are red and white checkered tablecloths over the desks, background music, and Hall is the chef for an unusual menu: books. middle of their table with ten to twelve books on it. Students rotate from table to table to “taste” different types of books. Each student records information in a booklet they can keep and refer back to. Because all the books they use are from the classroom library, they can choose to continue reading any of those books at another time. 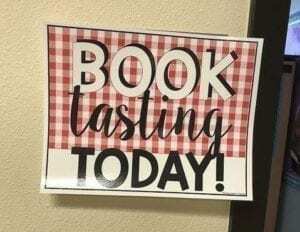 Hall is glad the students enjoy the book tastings. “Reading should be a joyful thing. The more they get into the books, the more they’re talking about it, the more they become obsessed with reading. 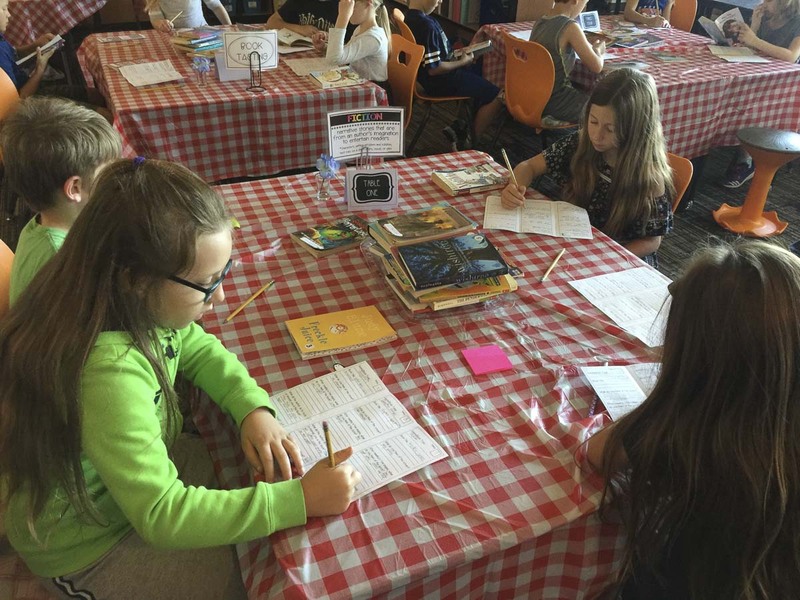 And you produce these great readers by the end of the year.” Hall’s creative book tastings are giving students a new appetite for books. Information provided by Ridgefield School District.